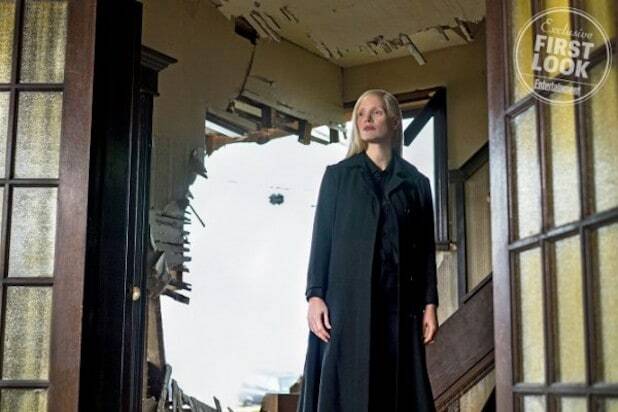 Entertainment Weekly published a bunch of new images from the upcoming “X-Men” film, which will be directed by Simon Kinberg, including the one of Chastain. Other images showed off Jennifer Lawrence’s Mystique and Sophie Turner’s Jean Grey, and one photograph also teased a mission to space. The film will focus on Turner’s Jean Grey as it features the story of the Dark Phoenix saga from the X-Men comics. The Phoenix, in the form of Jean, appeared as the primary antagonist in “X-Men: The Last Stand.” She was portrayed in the film by actress Famke Jansen. The film has a release date of Nov. 2, 2018. It will also star James McAvoy, Olivia Munn, Michael Fassbender, Evan Peters, Nicholas Hoult, Tye Sheridan and Alexandra Shipp.